We never compromise to our products. All the ingredients are strictly selected,product quantity & quality is controlled in place. As a wholesale trader, all the products will be delivered frozen. Therefore retailer can defrost and use the amount that is needed on the day which decreases unnecessarily loss. 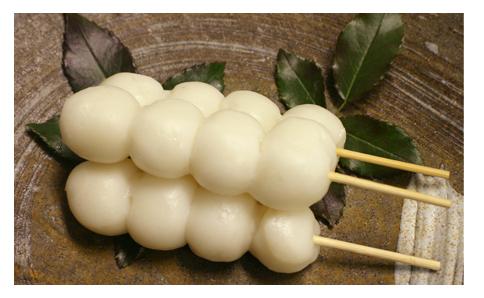 Dango (団子) is a Japanese dumpling and sweet made from rice flour. 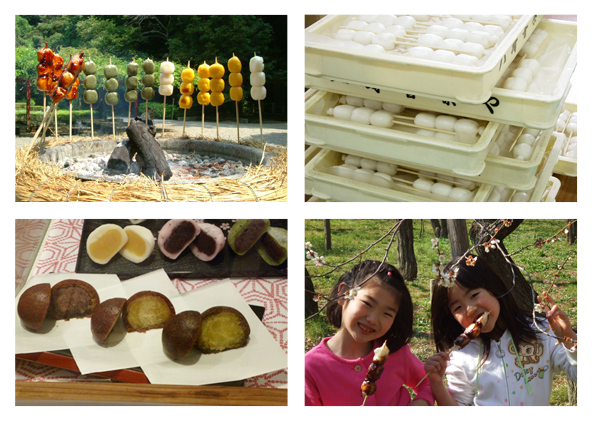 Dango is eaten year-round, but the different varieties are traditionally eaten in given seasons. 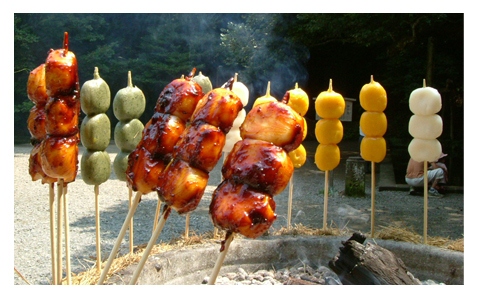 Giant Dango is a baked version and three dango is served on a skewer. 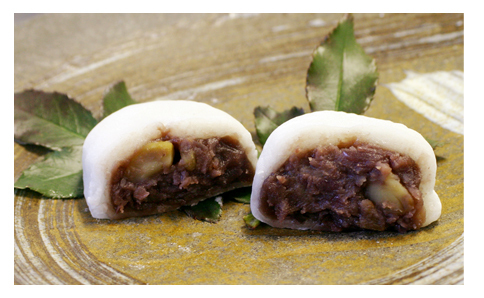 This is a popular traditional Japanese confectionery similar to Chinese moon cake. black sugar (黒糖) and the crispy fried food texture outside. As an OEM supplier, we are able to propose various type of flavors such as Yuzu, Maccha, Sweet potato, Peanut, etc. Although the ingredients are same as Giant dango, this smaller size of dango is most common which you will see in Japan more often. It can be baked, or eat after natural defrosting with variety of sources such as mitarashi (sweet soy sauce glaze) , red bean paste, kinako (soy bean flour) etc. There is absolute no obligation to eat on a skewer. It can be eaten individually and arrange it as a dessert menu. 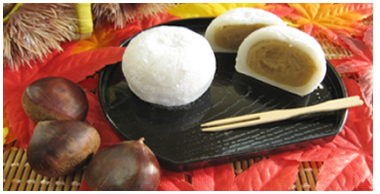 Traditionally, Japanese have festivals honoring the autumn moon. 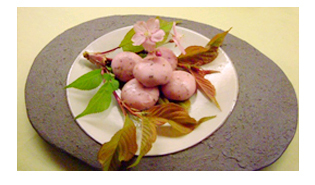 This include displaying decorations using dango. displayed as offerings to the moon. 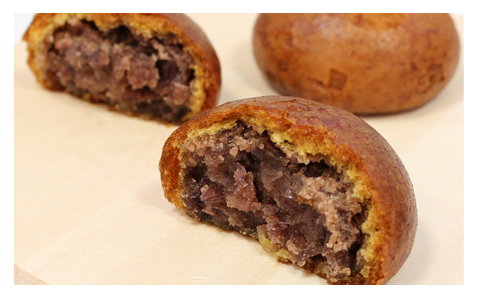 This is a consisting of a small round mochi (glutinous rice cake) stuffed with sweet fill of anko, sweetened red bean paste made from azuki beans and chestnut. CopyrightDANGO YA.net All rights reserved.